Jana Gana Mana at the function there. The college authorities, greatly impressed by the lofty ideals of the song, selected it as their prayer song. 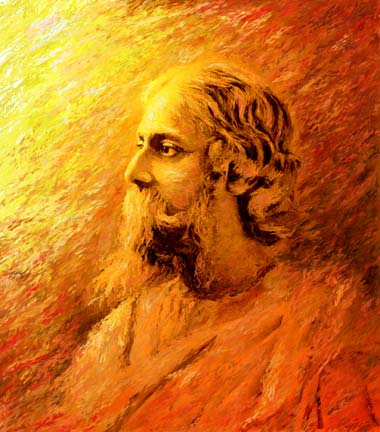 In the days that followed, enchanted by the dreamy hills of Madanapalle, Tagore wrote down the English translation of the song and along with Cousins' wife, Margaret (an expert in Western music), set down the notation which is followed till this day. The song was carried beyond the borders of India by the college students and became the Morning Song of India and subsequently the first stanza in Bengali was adopted as the National Anthem of India. Oh dispenser of India's destiny! The darkness was dense and deep was the night; my country lay in a deathlike silence of swoon. face in sleepless love through her hours of ghastly dreams. thou dispenser of India's destiny! victory to thee, dispenser of India's destiny.